I hope you enjoyed yesterday’s five blog posts featuring the winning gardens at this year’s RHS Hampton Court Palace Flower Show 2012. 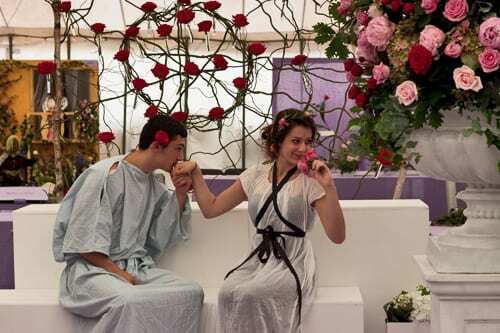 Today, it’s the turn of the Romance & Roses Marquee at the show. 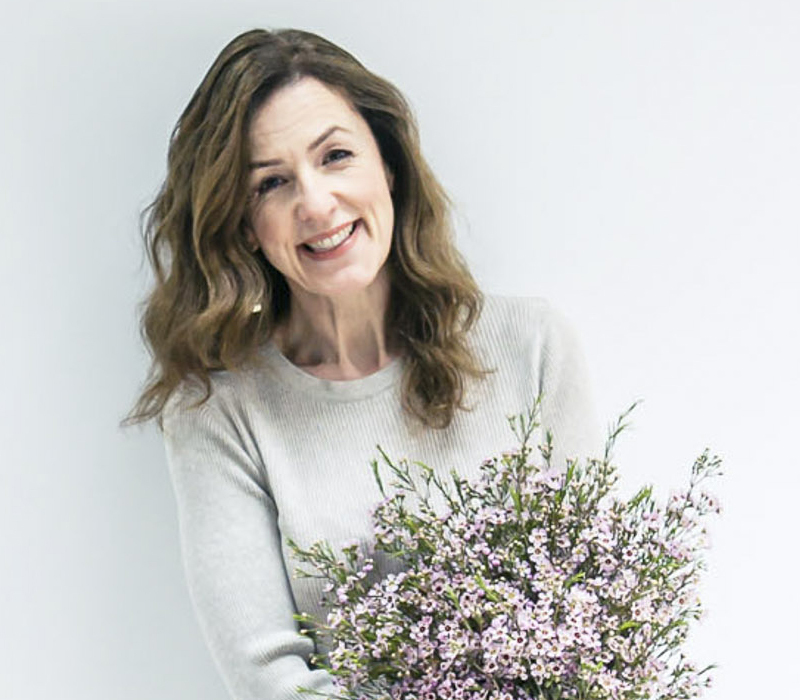 Earlier in the year, you may remember that I featured an interview with Weybridge-based florist Nicole Liew of The White Orchid. Well, Nicole exhibited at this year’s show and she also did a flower arranging demonstration on Tuesday afternoon. The stunning bouquet above is what she created and below are images of it being made. 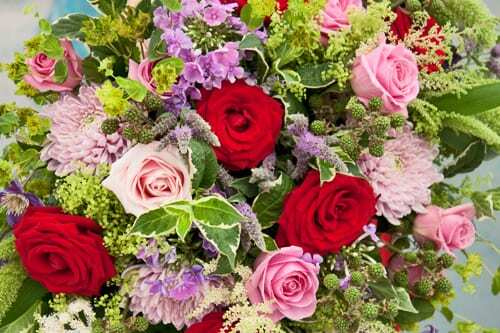 It included roses, chrysanthemums, mint, clematis, phlox, astilbe, alchemilla mollis and weigela. The idea was that you could make a similar bouquet using flowers from your very own garden. 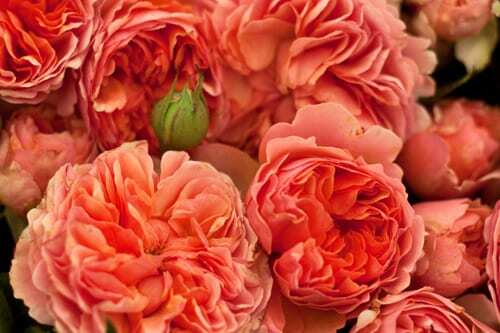 Nicole advised that it’s best to cut flowers in the evening and then leave them in a bucket of water overnight, before arranging. And here’s a photo of her stand on Press Day with models taking the part of the characters Pyramus and Thisbe, Shakespeare’s star-crossed lovers from Midsummer Night’s Dream. 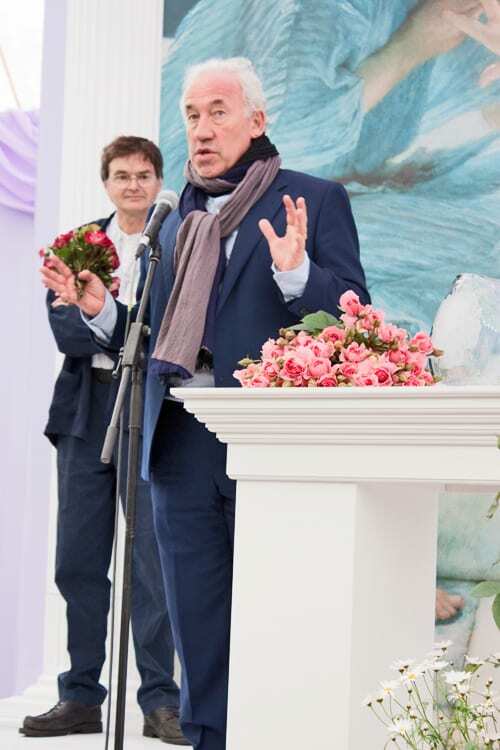 Also in the Romance & Roses Marquee on Press Day was actor Simon Callow. He was there to receive a new rose called ‘Red Ribbon’ from Bill Le Grice Roses. This floribunda rose, which produces masses of red blooms with flecks of silver, marks the 30th Anniversary of the Terrence Higgins Trust. 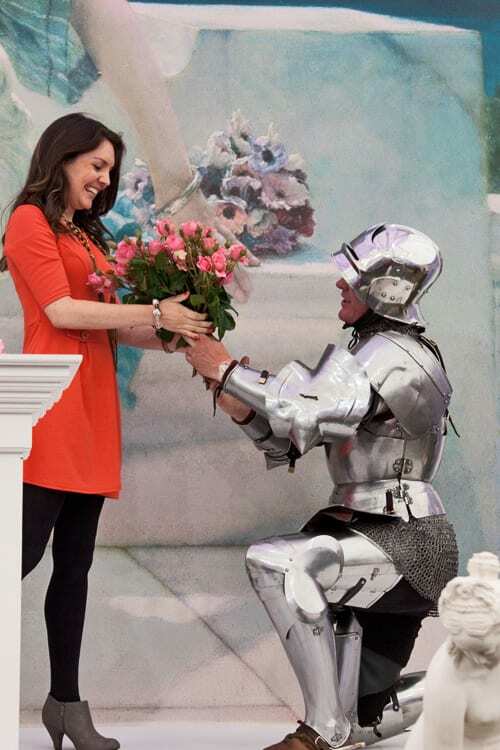 And BBC weather presenter, Laura Tobin was there to accept a bouquet of the new rose, You’re Beautiful, from Sir Lancelot in his full suit of armour. 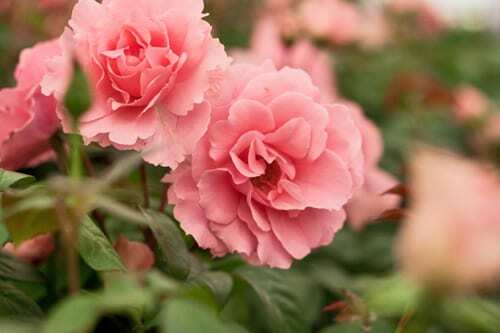 Bred by Gareth Fryer, this bright pink floribunda rose is the Rose of the Year 2013. It will be available from nurseries and garden centres from this autumn. 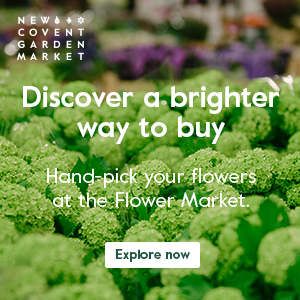 Outside the entrance, you’ll see a timetable of all the talks and floristry demonstrations which are taking place each day. 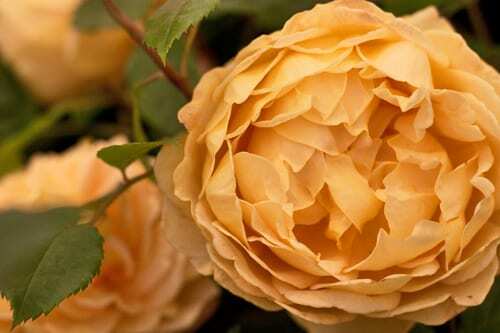 And there are also floral displays from twelve professional florists and floristry colleges, all of which feature roses.